The bright colors of this granny square will remind you of a lovely spring garden. 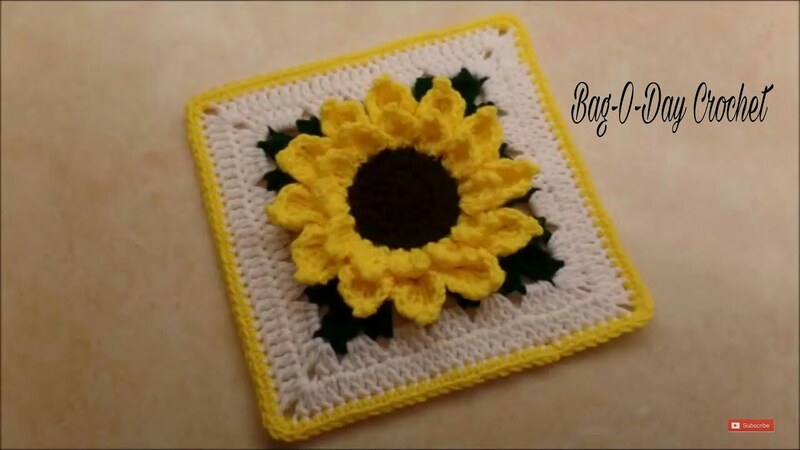 Bring a little bit of nature indoors with this colorful Crocodile Stitch Sunflower Square Free Crochet Pattern. They can be seen as the building blocks of crochet projects, both large and small. They are perfect for small things around the house, like dishcloths or coasters. You can even make them slightly larger and use them as trivets on your dining tables for a colorful way to protect your table. You can just as easily join granny square patterns together to form larger projects, like granny square afghans, or smaller items like granny square sweaters, tops, and even bags and purses. Thanks Caitlin for sharing this beautiful free crochet pattern on caitlinscontagiouscreations.com. The link for the free pattern is provided below photo. Happy crocheting.